The View menu allows you to set the Wireframe, toggle the height display, zoom in and out of the 3D View and the Graph Editor, and lock the display. Select View > Wireframe to toggle between the default full screen display and the wireframe display modes. Click the Wireframe icon in the main menu to toggle the wireframe display (see Wireframe display for more details). 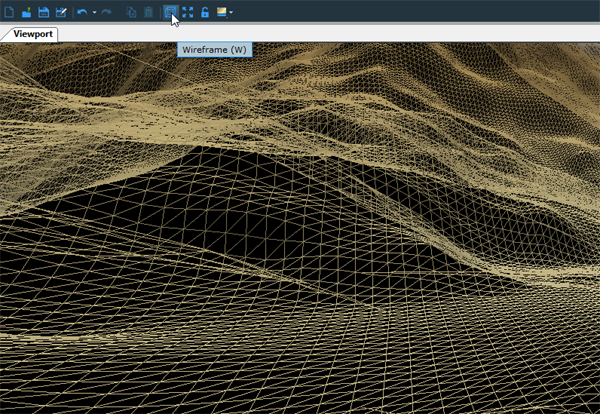 Select View > Terrain as mask to view the terrain as a mask. 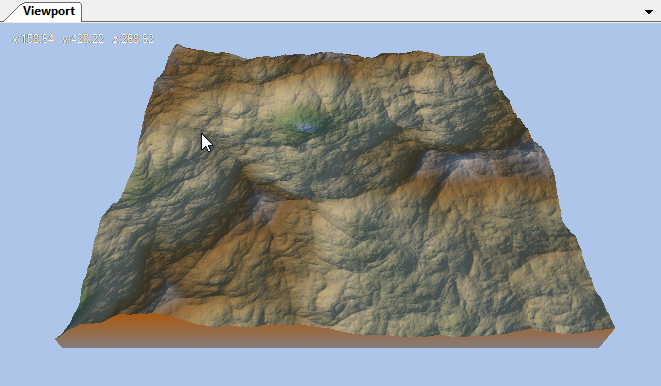 Click the Terrain as mask icon in the toolbar to view the terrain as a mask (see View terrain as mask for more details). Select View > Show heights to toggle the display of the height of the point under the mouse in the top left of the viewport. 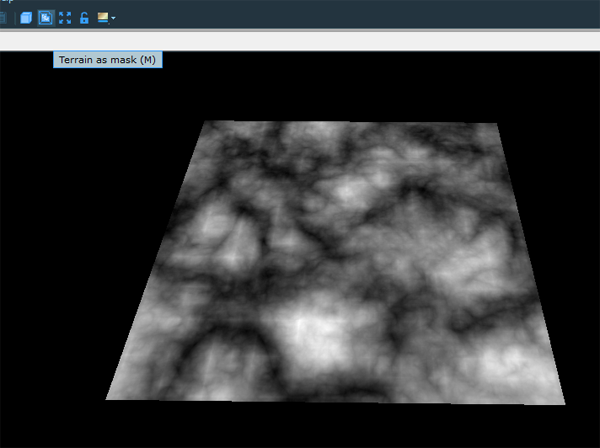 Select View > Zoom extents terrain or press Z to zoom the camera to view the entire terrain or mask in the 3D View. 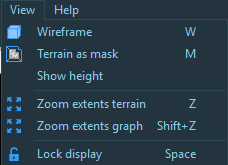 Click the Zoom extents terrain icon to zoom the camera to view the view the entire terrain or mask. Select View > Zoom extents graph or press Shift+Z to zoom the camera to view the entire graph. Select View > Lock or press Space to freeze the display so that the terrain or mask currently displayed remains visible in the 3D View, regardless of the selected node. Click the Lock icon to freeze the display and the Unlock icon to unfreeze the (see Freezing the display for more details).